2 Bedroom 1 bathroom condo with a great townhouse style floor plan. Both bedrooms upstairs with the living room and kitchen downstairs. 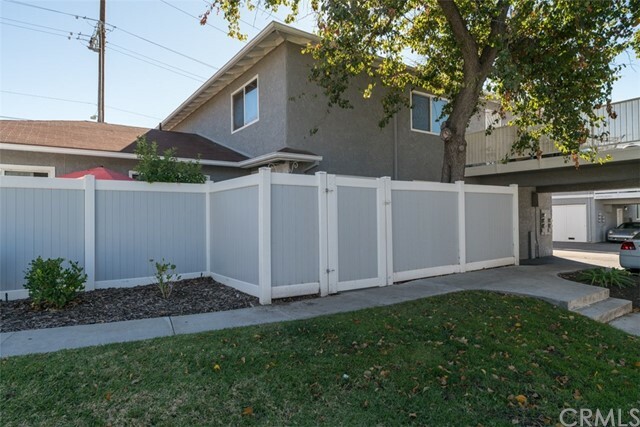 The patio is enclosed with a six foot high fence for optimal privacy. Once you enter the home, it has an open kitchen and living room, with recessed lighting, to make the space feel large and inviting. The kitchen has granite countertops and quiet close cabinets. The stackable washer and dryer are tucked away in the corner for optimal use of space, no need to access the common area washer and dryer. Stove, washer and dryer, and microwave come with the home. The flooring downstairs is tile which is great for the summer months to keep the condo nice and cool. The upstair&apos;s master bedroom is spacious with a walk in closet. The condo has been painted in cool and neutral colors. Central A/C & Heat throughout. There are 2 covered carport spaces assigned to this condo. Two storage closets and 2 storage spaces are in front of the carport. The community pool and facilities are convenient amenities included in the HOA.